ws: 11–12mm; Aug‐Apr; sycamore (Acer pseudoplatanus); first discovered in GB in 1970, initially with a scattered Eastern and Northern distribution, now fairly common in England and Scotland. 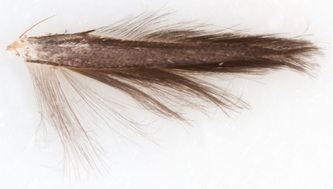 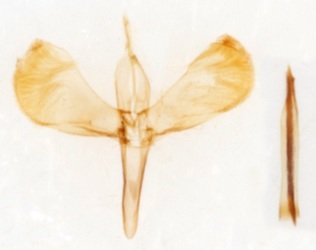 ID: S2 of labial palp not tufted; forewing chestnut-brown without any distinct markings; ws 11-12mm. 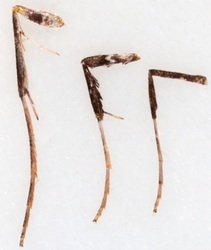 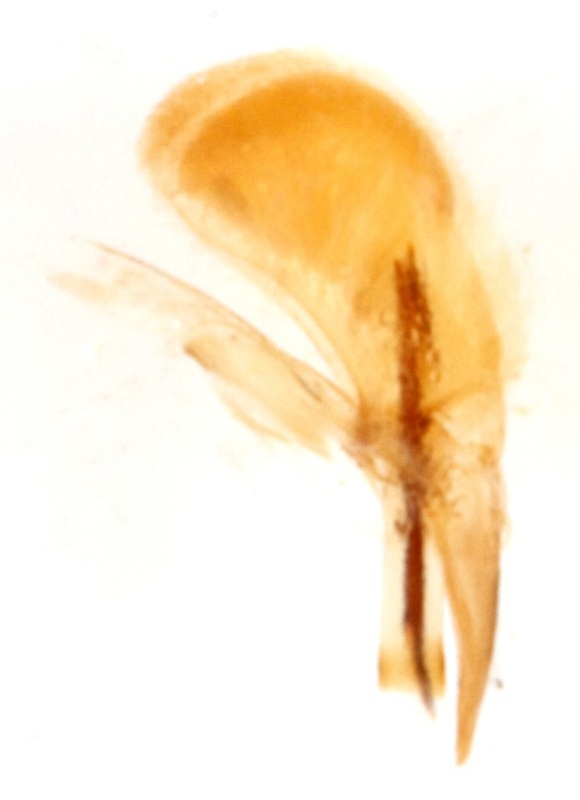 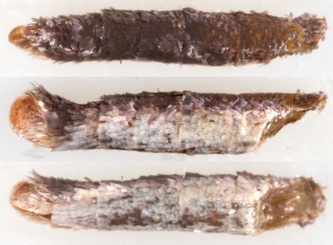 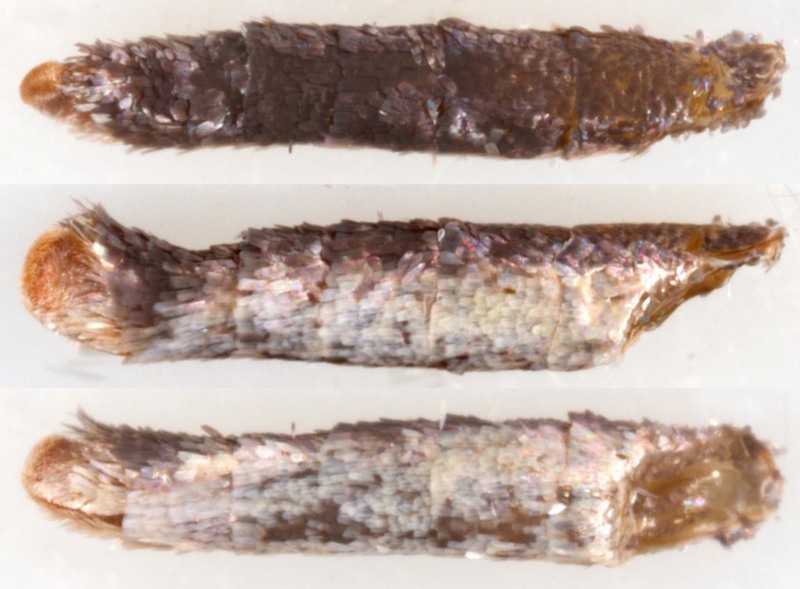 Note that specimen §1 has ws ~13mm. 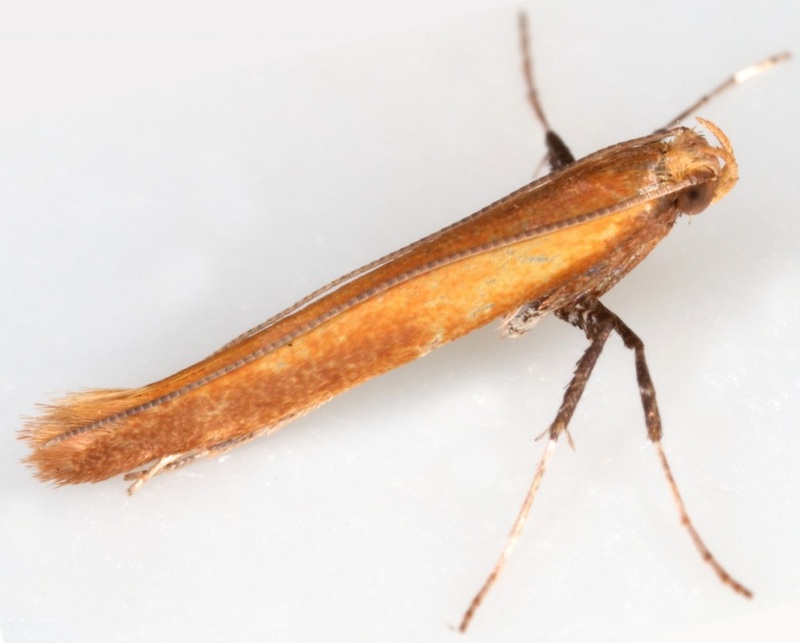 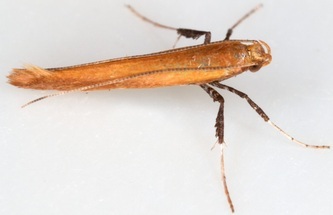 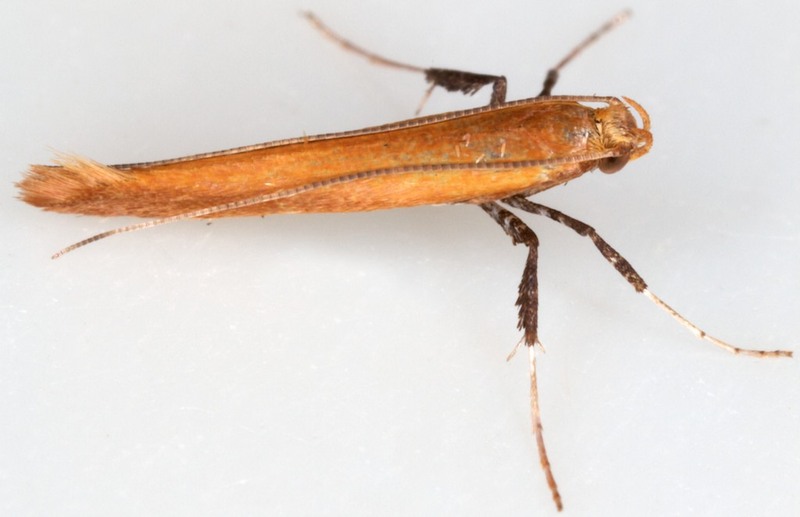 C.betulicola/elongella also lack distinct markings, they are both larger (ws 14-16mm). 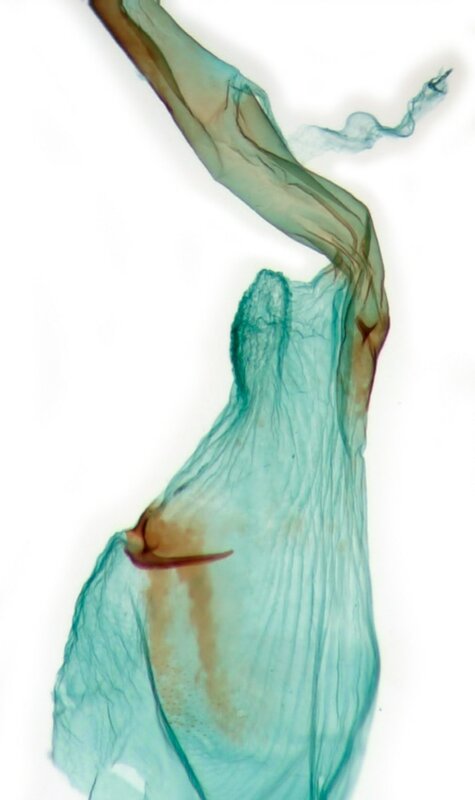 A further distinction given in MBGBI2 and UKmoths is an obscure pale band on the foretibia of C.rufipennella but not on C.betulicola/elongella. 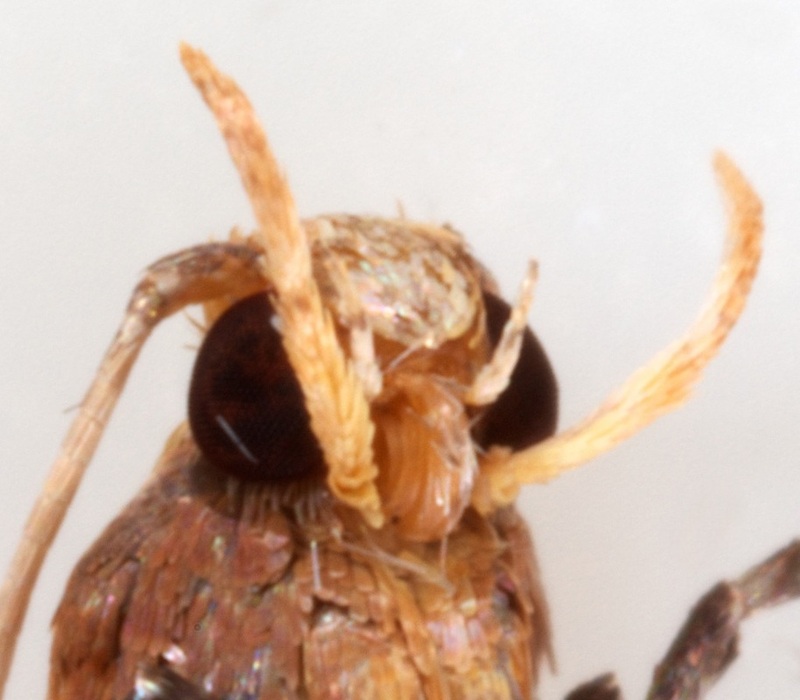 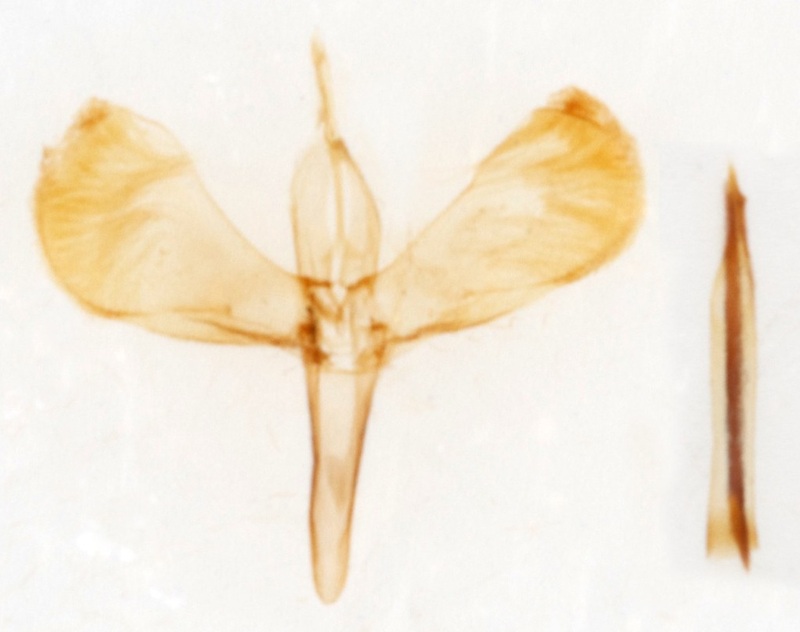 With the eye of faith this can be seen on the images of the live moth but it seems to be missing in the leg preparation below.